I was invited to work with Tropicana and BlogHer on a campaign to highlight the nutritional value of Tropicana’s Pure Premium Orange Juice. I immediately agreed since I am a big advocate of anything related to the promotion of eating and drinking nutritious food to keep your body strong and healthy. Not only am I reviewing this great product but am also offering a $100 Visa Gift Card Giveaway for my readers! We Colombians love fruit juices and, in fact, we start and end almost all of our meals with them. Jugos de fruta, or fruit juices, are very popular in Colombian restaurants and homes. My mom would have a pitcher of some sort of fruit juice made for us every day when I was growing up. If you visit a Colombian home, they will offer you juice instead of soda, as that is part of our culture. I usually don’t substitute store bought fruit juice for real fruit, because many store bought juices contain only a small amount of actual fruit. Unless a juice is freshly squeezed, there may not be much real fruit in the glass. However, in Tropicana’s case, I think they have come up with a winning formula with Pure Premium orange juice. I keep this in our refrigerator for everyone in our house, pack it my kid’s lunch box, and in keep some in the diaper bag to have on hand for snack-time while on the go. Tropicana’s Pure Premium orange juice is so natural that there are 16 fresh-picked oranges inside each 59-ounce container. So, when you drink a 12 ounce glass of orange juice, that’s like eating 2 fruit servings! Tropicana Pure Premium sounds like a smart choice to me. Doesn’t that make you want to pour yourself a glass right now? Tropicana strongly supports whole fruit consumption, but data shows that seven out of 10 Americans don’t get enough fruit in their daily diets. Below are key nutrition messages about Tropicana Pure Premium. •With important nutrients including vitamin C, folate, potassium and thiamin, there’s no room for added sugar, artificial flavors, sweeteners or water. •At about 50 cents per 8-ounce glass – which equals two fruit servings – Tropicana Pure Premium provides a high-quality, nutrient-rich value for families. • One eight-ounce glass of orange juice provides: a full day’s supply of vitamin C, which can help support a healthy immune system; as much potassium as a medium banana, which plays an important role in heart health; and a natural source of the B vitamin folate, which helps the body make new cells and DNA and may reduce the risk of birth defects of the brain and spinal cord. Tropicana helps put the “good” in morning! Leave a comment on this post telling us if you’ve tried Tropicana Pure Premium Orange Juice and what you think about it or if you would like to try it. You can also visit the exclusive offers section for more chances to win. Please come back in two weeks for the chance to win another Visa gift card. Great stuff…tastes like its fresh squeezed! I have tried it & I loved it!!! I have tried it and prefer the pulp kind. =) Did you know orange juice wakes you up better than coffee? Love the juice….we buy it all the time!! Awesome juice! The only thing we drink. Our Colombian 2 year old loves it! Tropicana Premium has been a grocery staple at my house…since EVER!!!! We prefer the “Lots of Pulp” to drink and use the “Some Pulp” when for certain recipes (marinades, sauces, etc) – so fresh and natural just like actual oranges but without the squeezing!! Love the refreshing flavorand enjoy cooking with it as well!!! Yes, I’ve tried it and enjoy it. It’s very refreshing. I LOVE TROPICANA PURE PREMIUM! Not only me but my Colombian husband as well! He just got over a bad cold & I know that his hourly glass of Tropicana Pure Premium helped him cut the time in half. I’m a Florida girl & I know my oj & this is some tasty, fresh juice! I never knew any of these facts, I love OJ, but I don’t care for the taste of some OJ made from concentrate. Thank you for the information!! Love it, my family won’t drink anything else, in fact I tried cheaper juice (shame on me) in same container, my son caught me on his first sip. Oh well can’t tamper with perfection right? Yum, yum. I grew up on Tropicana OJ and I still love it! We love Tropicana Pure Premium at our house. As a matter of fact my son who is in college drinks it before doing the naked quad run at school. He says it gives him energy and keeps him warm. I’ve tried lots of different orange juices with my morning protein shake mix. Some are too think and leave the protein mix clumpy and others just don’t taste right with it. But Tropicana Pure Premium with no pulp does the trick every time, It mixes well and makes the protein powder taste like a smoothie. It has become a must have on the weekly shopping list. I love tropicana juice!. Our family drinks it for breakfast and I also use it for recipes. Love Tropicana. Have been drinking and cooking with it for years! I have always bought Tropicana, and it is still my favorite! Have not tried it, but afte reading this review I will. It brought back memories of delicious fruit juices made by grandmother in Cartagena. I love Tropican Fruit juice. but I dont buy it as often as I would like because it’s a little pricie and I’m the only one in my house hold that works. This juice is soo healthy and yummy! We live off tropicana in our house…my kids don’t drink miilk and the doctor said our kids are actually getting more calcium from teh OJ anyways. I buy the kind with added Calcium and Vit. D!! We go through a carton a day! we’ve tried it and love it! Never tried before but would like to try it. It looks so orangy in the photo! I haven’t had orange juice all year because it started not setting well, but I recall Tropicana Orange Juice quite fondly. I have tried Tropicana Pure Premium Orange Juice and really like it. In fact, I buy it all of the time. I especially like the kind with pulp when my store has that kind in stock. We drink it every morning. I love Tropicana Pure Premium orange juice. I am kind of an orange juice fanatic and it is the best! I have tried it and I like it. Tropicana Pure Premium is one of my families favorites! Really high quality and delicious. I have not tried Tropicana Pure Premium orange juice yet, but I would like to. Yes, I really like Tropicana Pure Premium Orange Juice. I haven’t tried it, but I would like to! My family loves Tropicana Orange Juice we drink it everyday! Thanks for the great giveaway! I haven’t tried it but I love Tropicana and will try it. Yes, I have tried it and LOVE it. It’s the best tasting brand on the market. I’ve tried others to save money but they taste nasty compared to tropicana. OJ not from concentrate. The best! The only OJ I drink is Tropicana, I just don’t like any of the other brands, maybe because it’s what I grew up on. I make sure the whole family gets a good start with a high fiber cereal, skim milk, and a glass of 100% juice. Actually, the “good” in my morning starts with waking my kids and seeing their smiling faces. It doesn’t get better than that. I have tried Tropicana Pure Premium and the entire family loves it, we start each day with Tropicana Pure Premium with a delicious breakfast, keeps everyone going. Yes, I have had Tropicana Pure Premium Orange Juice and thought it was tasty and refreshing. Yes we have tried it, and it’s my favorite of all the orange juices. Tropicana is the best! It’s the only OJ I buy. I, too, love freshly made juice! I have tried Tropicana Pure Premium…it is a great product. People think it is really hard to get enough fruits and vegetables in our everyday diets, but I think that it is relatively easy…with products like this it becomes easier. Thanks! Have never tried Tropicana as I live in Greece but it sounds great. Can I enter and if I win I can provide a US address for friends living in the US? I have tried Tropicana Pure Premium Orange Juice, and I am quite fond of it. We go though 1-2 cartons per week, and orange juice is one thing that I will not skimp on. I want “real” orange juice, not an orange favored drink or juice concentrate. Tropicana is one of the few brands that I buy. I have tried it, and I LOVE it. I love Orange juice. I have tried Tropicana Pure Premium and love it. I have tried Tropicana Pure Premium Orange Juice. I like the no pulp version. I would like to try Tropicana Pure Premium Orange Juice. I have tried it and love the no pulp, it is great! We love Tropicana Pure Premium! I have tried it and love it, I consider it a splurge and a staple. tropicana is my orange juice of choice–no other brand compares, and that’s the simple truth! i’ve tried it and it’s good! Yes, I have tried Tropicana Pure Premium Orange Juice and I like it with pulp! It’s a good way to start the day! I’ve never tried it but it sounds wonderful! I have not,but id like to. I’m the second generation to always start out weekend breakfasts with Tropicana Pure Premium Orange Juice. Over the course of a weekend, it is there to refresh us whenever we need a break form Dall the chores that stack up. Tropicana juice is a staple in my house. We like it straight out of the carton or in a smoothie. I have tried Tropicana Pure Premium Orange Juice and it is my favorite. Yes, I have tried Tropicana and buy it often! It has a great freshly sqeezed orange taste. Yes, I have. It’s great—and yes, I will. We always buy Tropicana Orange Juice and love it! I have never tried Tropicana Pure Premium Orange Juice but it looks very refreshing and I would love to try it! I have tried this OJ and loved it! Tropicana Pure Premium is the ONLY orange juice I’ll buy. I guess growing up in Florida and squeezing my own juice turned me into an orange juice snob. I’ve tried others and they don’t come close to the quality of Tropicana! I have indeed tried Tropicana Pure Premium Orange Juice and I love it! We keep some on hand for breakfast all of the time and I also have some small ones saved in the fridge for when my husband has his low blood sugar moments. My girlfriend loves pulp… and no she won’t strain the pulp out for me, haha. So, I love Tropicana Pure Premium orange juice with no pulp! I have tried Tropicana Pure Premium Orange Juice and it’s yummy! I love Tropicana Pure Premium. It reminds me of summers in Florida with my family when fresh citrus was such a treat! To me it’s best with pulp, if it were just me I’d get the kids with extra pulp, but my hubby doesn’t agree. Thanks for the great giveaway! I’ve tried it and I love it, especially pulp free! I love Tropicana Pure Premium. I love the options Tropicana provides with Lots of Pulp and No Pulp, which is the one I prefer. I have tried other brands and even used store brand because I thought I was saving money. However, Tropicana Pure Premium is very economical. My children enjoy a small glass with breakfast and I feel great giving them the boost they’ll need to keep them moving through their busy morning. I have tried the Pulp Free variety before and liked it. I have tried it and I especially appreciate the Low Acid variety. Tropicana Pure Premium Orange Juice is what we drink in our home Living in Florida, orange juice is served most commonly. Tropicana is our top brand. Love it! My family love Tropicana Orange Juice. Love the pulp free! What a fabulous giveaway. I haven’t tried it but would like to! This is the Orange Juice served in our home for the past few months. I used to buy another well known brand, but Sam’s Club carries Tropicana so I bought some. It’s so much better than the others that I switched for good! To keep our family in Orange juice for a year it would take $6 x 52 = $312, but I’d happily claim the $100 card if I were to win. P.S. It’s neat you’re from Columbia. My husband is from Venezuela and we lived there for a while. Tropicana Premium juice is as fresh as it can get, it is like taking a bite out of an orange. Just the perfect way to start the morning, Tropicana Premium..simply, it can’t get better than that! Tropicana Premium juice is as fresh as it can get, it is like taking a bite out of an orange. Just the perfect way to start the morning, Tropicana Premium..simply, it can’t get better than this! I work ten hours shift (the graveyard shift) this is my pick me up juice, it just gives me the energy that I need to keep running! Drinking Tropicana Pure Premium is the perfect way to start the day; to get a burst of sunshine. I also use it to enhance my BBQ Grilled foods. I’d like to try Tropicana OJ. It’s very good! I trust Tropicana to always be good. 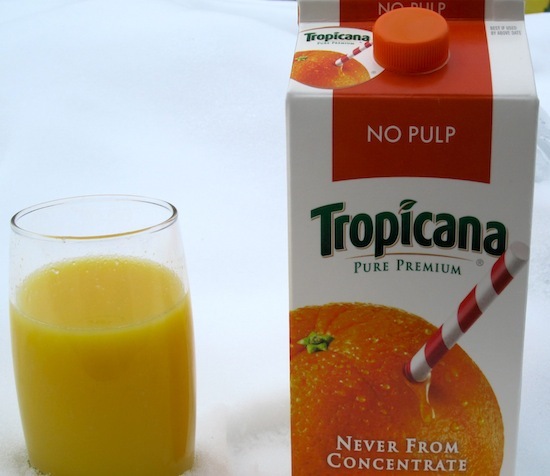 I just love Tropicana with lots of pulp, Its the only O J I buy. I buy Tropicana with extra pulp. Delicious! Yes, I have tried it, and it is one of the 2 brands I buy. yes, have tried Tropicana and love it! Of course I’ve had Tropicana – One of their biggest plants was just a few miles from my old home. The smell when they are processing the oranges is absolutely divine! I love the pure premium tropicana. Yes! We alternate between Tropicana and another brand depending on price. Love it and thanks for the opportunity! Having grown up with an orange and tangerine tree in our yard, I greatly appreciate the taste of fresh squeezed orange juice. Tropicana Pure Premium is that taste. I particularly like some pulp and lots of pulp variations for that crisp taste of fresh, juicy bits that come along with a just squeezed glass. I can’t imagine anybody in the USA that wouldn’t have tried it….I like the original version. So, now I understand why my mom always has juice. I was wondering about that. Yes, I live off orange juice. None of that concentrate stuff. Tropicana has always been a favorite because we know that it’s the real stuff! I have tried this Orange Juice and this is one of my favorites. TPP is the orange juice of choice our house! Love it especially in the summer! Tropicana is by far my favorite orange juice. I love it and always try to purchase it unless where I am shopping doesn’t have it. Growing up in a Colombian family, I can totally relate to the ever-present array of fruit juices made from real fruit at home, in restaurants, from street vendors, and in stores. Blackberry juice is most definitely my favorite, but even beet juice (yes, weird, I know) was tasty to me as a kid. However, growing up in the U.S. (and far away from the delightful variety of freshly available fruit from the Amazonian region), we rarely had “real” fruit juice. It’s incredibly difficult to find 100% juice that is not from concentrate and not loaded with sugar or high fructose corn syrup. The good thing is that I grew up in Florida, land of delicious and nutritious oranges. Tropicana was always a favorite in my home when I was young and now, as an adult, it is the only brand of orange juice that I buy, because it is honestly labeled. I prefer the one with high pulp content, as it makes me feel like I squeezed the juice myself. In addition to being a tasty and nutritious drink, it is also great in recipes! Orange duck or chicken and orange glazes for cakes are excellent alternate ways to use Tropicana. Oh, I totally forgot about how I’ve used Tropicana Pure Premium Orange Juice in protein smoothies, too! O.J., blueberries (or açaí berries if you can find them), protein powder, one banana, blend it up and enjoy! So tasty and refreshing after a good workout! My family drinks Tropicana Pure Premium all the time, we use it in smoothies for after school snacks. I’ve tried Tropicana Pure Premium before, but only once as it doesn’t fit into our budget. It is very tasty though! We love Tropicans orange juice and I love the fact that it’s healthy and my girls will still drink it. I have tried it and we love it here at the house. We do like the one with pulp so it feels like if we just made it here at home! Yes, I have tried it. My whole family loves it! I drink all varieties of Tropicana incl the Premium which I like. I haven’t tried Pure Premium; I think I’d like it. i would like to try it but haven’t yet. I haven’t tried it but I would like to. Oh yea, we love Tropicana OJ and stock up on them when they’re on sale at the grocery store! I have tried Tropicana – it is our orange juice of choice! Yes, we have tried Tropicana’s Pure Premium orange juice and we all liked it. This is the only OJ I buy, Not From Concentrate, LOVE IT!!! I haven’t had any of this orange juice yet, but I really would like to try some… I know it would be delicious! I love Tropicana Pure Premium Orange Juice. There is always a container or 2 in our refrigerator! I love making frozen OJ pops with it too! I have tried it many times. I had some this morning, and have a carton of Tropicana Pure Premium in my fridge right now. I love Tropicana Pure Premium Orange Juice. I love that it comes in serveral varieties. I love pulp but son doesn’t so I can buy both. I have tried Tropicana Pure Premium OJ and I love it! Yes, I have tried it, and it is really good. I haven’t tried this OJ yet, but I would love to! OJ is so refreshing to drink in the morning! I have tried it, it’s good! Yes, I have tried it and I like it. I will continue to drink it. Yes, I have tried Tropicana Pure Premium. It’s actually a regular item we buy in our household. Tropicana has the right sweetnes and tastes fresh. There is actually a carton in the fridge right now! Looks delicious… I must try it! Have you ever tasted a TREE-RIPENED orange? There’s nothing sweeter in the world. That’s what Tropicana tastes like compared to other orange juices! I looove, orange juice, and think that Tropicana Pure Premium Orange Juice is fantastic. I have a carton of Tropicana Orange Juice right now. I love it! Bagel w/cream cheese, bacon crumbles & fresh chives & a glass of juice. I could & do eat this almost every morning. I’m pretty sure I haven’t tried this brand of orange juice before, but I am always up for trying new things, thanks! Drink it all the time! With just two of us, we go through 2 cartons a week. Tropicana 100% Orange Juice is a family favorite – so, yes! I start my days off with seven mile run. That always puts the “good” in my morning! Got to have my OJ to start my day! Yes, I have tried Tropicana OJ. I prefer its taste to most of the other brands out there. I have tried Tropicana Pure Premium Orange Juice and it is very, very good! I like the Tropicana Pure Premium with no pulp. Tropicana orange juice is my favorite. I always have it in the fridge and I love Trop50! Yes, I have definitely tried Tropicana Orange Juice and it’s the best! I haven’t tried it, but I would love to! It’s hard to find pure juice nowadays. Practically the only oj i buy! I love Tropicana Pure Premium Orange Juice. It really makes breakfast so much better. It is a staple in our home, delicious! I love that there are no added sugars or sweeteners. In addition to Tropicana being my juice of choice in the morning, it is also great to use as a mixer on those hot summer days for umbrella drinks by the pool! Yes, I’ve tried Tropicana Pure Premium Orange Juice and I love it! I drink it instead of drinking other sugary juices. Love Tropicana – it has always been our favorite. The flavor is amazing and I like that it has no added sugar. I have tried this juice and its very good! Not being from concentrate makes a HUGE difference in taste! Love Tropicana, wish they would put all the good things into one bottle though; high pulp, calcium, and vitamin d. Haven’t tried the premium one. I love Tropicana Pure Premium Orange Juice, I drink a glass before going to work each morning. I have tried their juice. I like it a lot. Its really fresh and not bitter or too acidic. I would recommend it for sure! 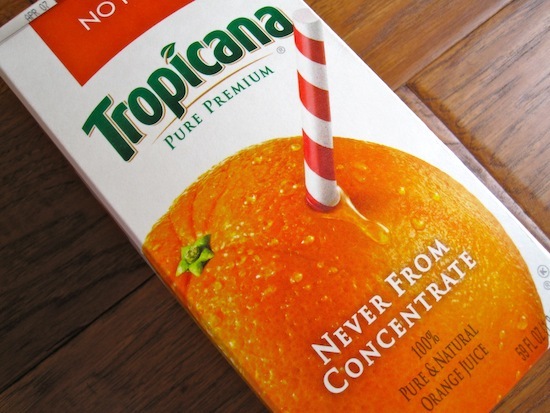 I have not tried this Tropicana but I would love to. Your review makes it sound delicous! Yes, I have tried it before. I use it in shakes, also. 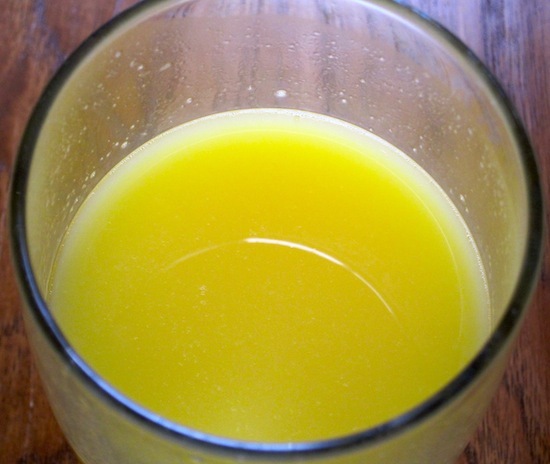 We love Tropicana OJ – kids drink it morning, afternoon and evenings – good for them and I’m glad they don’t want pop. I drink a different brand, but willing to give Tropicana a try. Thanks! Yes, I’ve tried Tropicana Pure Premium Orange Juice and love it!!! I have not tried it lately. I would love to. I like tropicana OJ, especially the one with extra calcium. It’s almost like taking a vitamin with all the stuff in it. I have not tried it but I will be buying it when we go shopping this week. thank you!! I haven’t tried this, but it looks yummy! no I haven’t tried Tropicana Pure Premium Orange Juice yet, but I would like to. I love Tropicana Pure Premium Orange with no plup I like all the extra vitamin C and D it has! I can drink it anytime I really enjoy it. Great giveaway thank you! I haven’t had any of Tropicana’s products in a long time. Sounds like its time to drink some! Yes, I’ve tried Tropicana Pure Premium Orange Juice and it is really tastey! I can’t drink a whole lot of juice, so only get it occasionally, but hubby makes sure to pour himself a glass in a travelers cup every morning for his drive into work. I always have some Tropicana in my fridge for breakfast! I have not tried it because I’m allergic to citrus. I’ve tried Tropicana Pure Premium Orange Juice and I like that it tastes great and is so good for you. We have tried it, and we almost always have the half a gallon carton chilling in the refridgerator. I have tried Tropican Pure Premium Orange Juice and it’s delicious! I have tried tropicana but it was a long time ago. I love the taste though. I haven’t tried it and would like to! Yes, I have tried Tropicana and it is one of my family’s favorite brands of OJ. I have tried Tropicana Pure Premium Orange Juice, and I like it very much – it has a nice blend of sweetness and tartness, and it doesn’t have the artificial taste that so many of its competitors do! I start my day withe a glass of tropicana orange juice I love that it’s refreshing –it gets me going in the morning–I have it with Greek yogurt and whole wheat toast with almond butter. I’ve never tried the Tropicana Pure Premium, but i’m going to have to..I usually get the maybe it’s Florida..not sure..whatever it is..it’s the No pulp kind.. Thanks for the giveaway…we love Tropicana Pure Premium Orange Juice – Grovestand ! I drink Tropicana regularly. I like that you can get it with added calcium. I’ve drank tropicana for years can’t remember how long its the best !!!!!! I have tried it and it’s my fave orange juice, so delicious! I’ve tried the Premium with Some Pulp. I love the extra bits of orange and I thought it was excellent. It’s so much better than “orange flavored” drinks. I have tried it and love it. I don’t mind spending an extra few cents for a premium product that taste good and has health benefits for my family. We love it, it’s one of the Best juices out there! No, we have not tried Tropicana. But, I really want to. Sounds Wonderful!!! I’ll have to get some while I’m at the store today. I’ve tried Tropicana Pure Premium Orange Juice – it’s so fresh tasting, we never buy anything else now. We love Tropican OJ. Been using it for a very long time! Yes. I have and it is my favorite brand. So so good! I love Tropicana Pure Premium Orange Juice and purchase it weekly.